Rev. Dr. George Leslie McGill, Jr.
Rev. 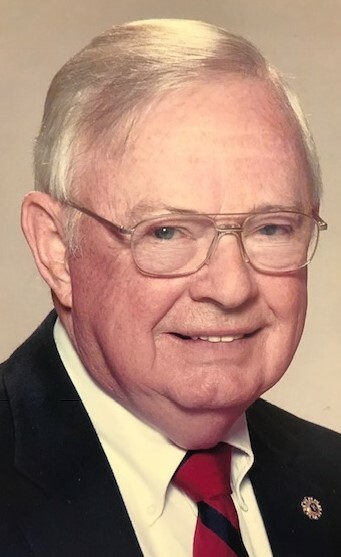 Dr. George Leslie McGill, Jr., 80, of Clover, SC, passed away Friday, November 16, 2018 at Wayne T. Patrick Hospice House, Rock Hill, SC. Graveside service will be 2:30 p.m. Tuesday, November 20, 2018 at Oakdale Presbyterian Church, followed by a Celebration of Life service at 3:00 pm with the Rev. Dr. Todd B. Jones and Rev. Dr. Barry Eller officiating. The family will receive friends from 5:00 – 7:00 pm Monday, November 19 at M.L. Ford and Sons Funeral Home, 209 N. Main Street, Clover, SC. Rev. Dr. McGill was born November 16, 1938 in Clover, SC to the late George Leslie McGill, Sr. and Ruth Dale McGill. Following his graduation from Clover High School he graduated from Erskine College and Erskine Seminary and was ordained in 1963. He received his doctorate of ministry from McCormick Theological Seminary. During his 46-year ministry, he held 4 South Carolina pastorates at Cane Creek Presbyterian Church near Union, Williston Presbyterian Church, First Presbyterian Church in Laurens, and was minister of pastoral care at First Presbyterian Church of Spartanburg. Pastoral care was his greatest strength. He held many positions in both the churches and the communities that he served. He was an avid sports fan and the biggest fan in every community that he served. Most importantly, he was a Godly man who was a devoted husband, daddy, pa, and brother. Survivors are his wife Heidi Yarborough McGill; son George Leslie McGill, III (Anne) of Clover; daughter Kimberly McGill Sanders (Jeff) of Clover; sisters Betty McGill Westmoreland and Mary Alice McGill Morrison both of Clover; grandchildren Leslie Anne McGill Beaty (Daniel) of Lexington, SC, Holden D. McGill, Nicholas J. Sanders, and Heidi K. Sanders all of Clover. Memorials may be made to the Oakdale Presbyterian Church, 12585 W. Hwy 55, Clover, SC 29710 or Hospice and Community Care, PO Box 993, Rock Hill, SC 29731.